Who let the cats out of the bag? 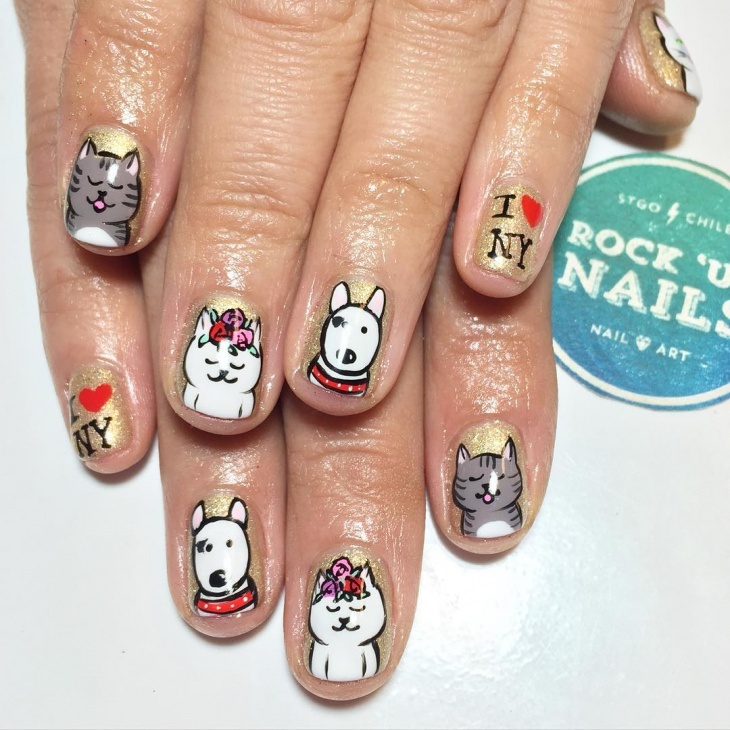 Well whoever did, surely did the right thing because, without these cats, our nail art designs definitely would have looked so plain and ordinary. Funky designs are in fashion and we suggest you try them out in this fashionable way. 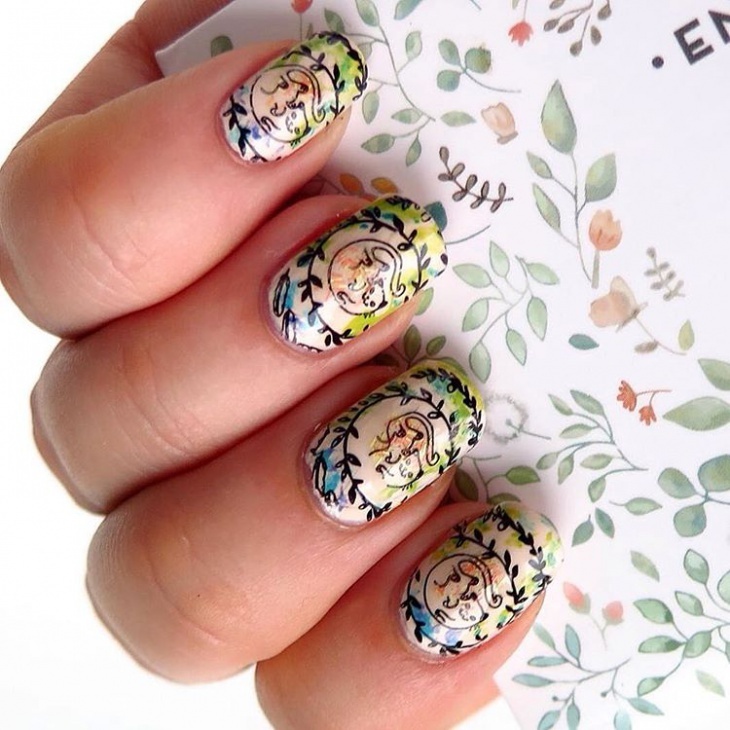 You shine bright like a diamond with this nail art design. Through all this glitter can you spot those cute little cats standing right out like they have been up to something? Well, this design is for someone who loves to keep it bright. 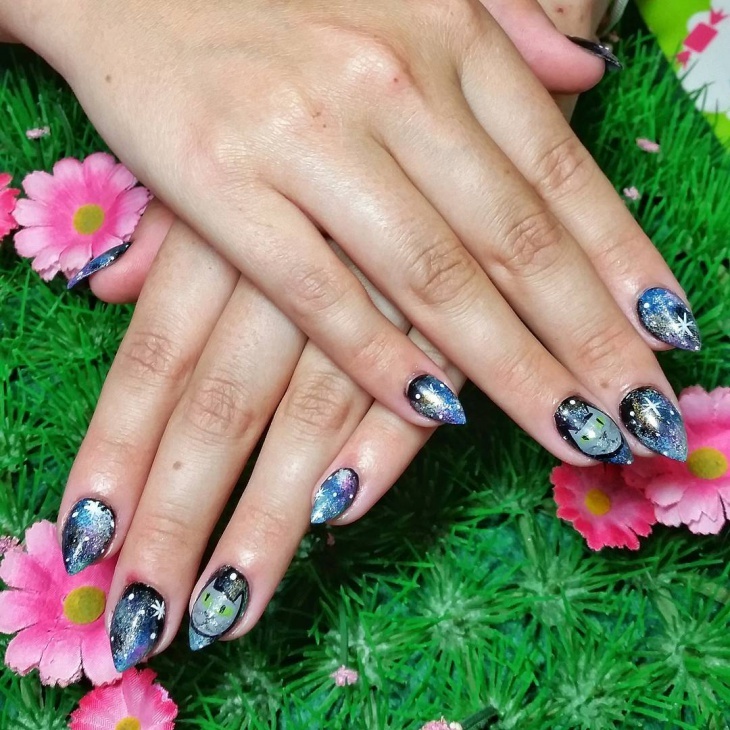 If you love sticking to dark colors for your nails and black is that favorite color then you must try this design. 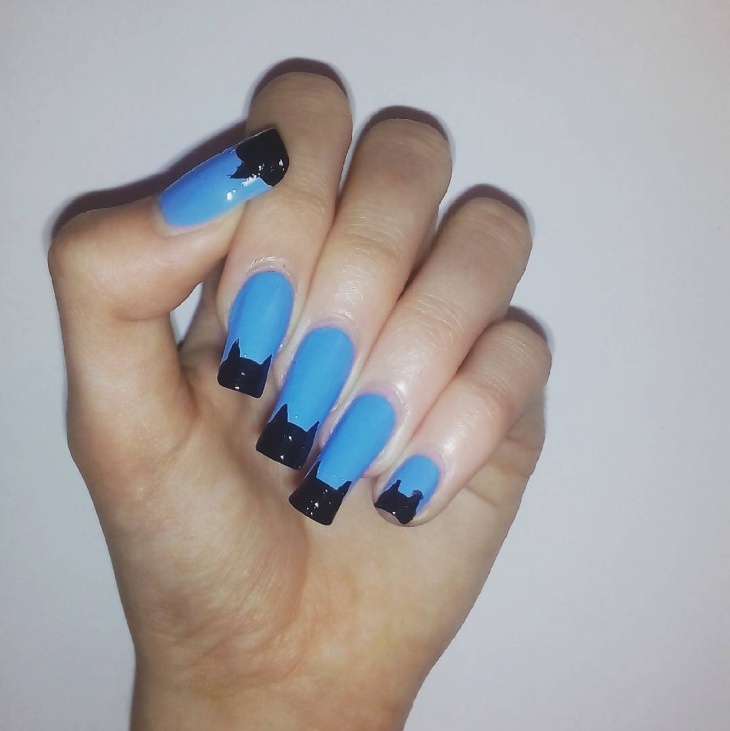 The nail is shaped into a cat, unlike the other designs where you have the whole cat. 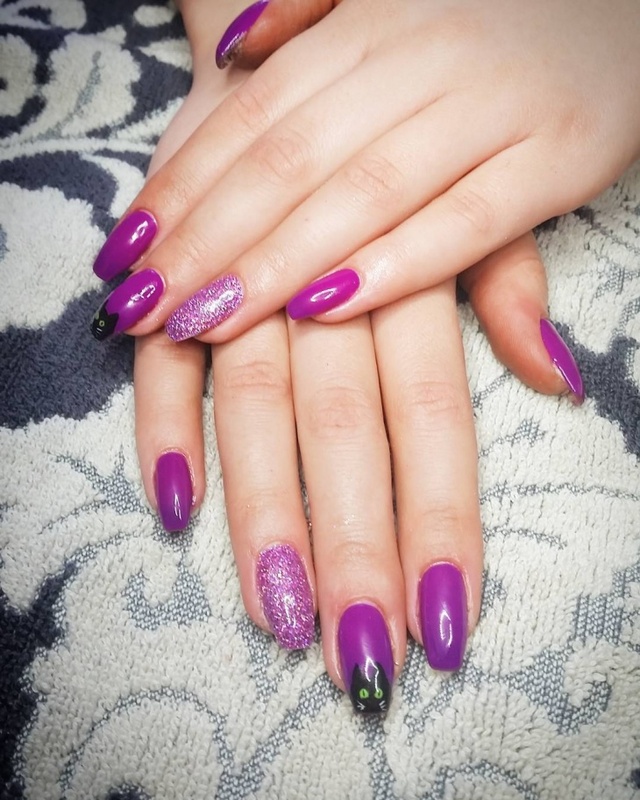 This is a unique design that caught our attention and the purple combination is just eccentric. 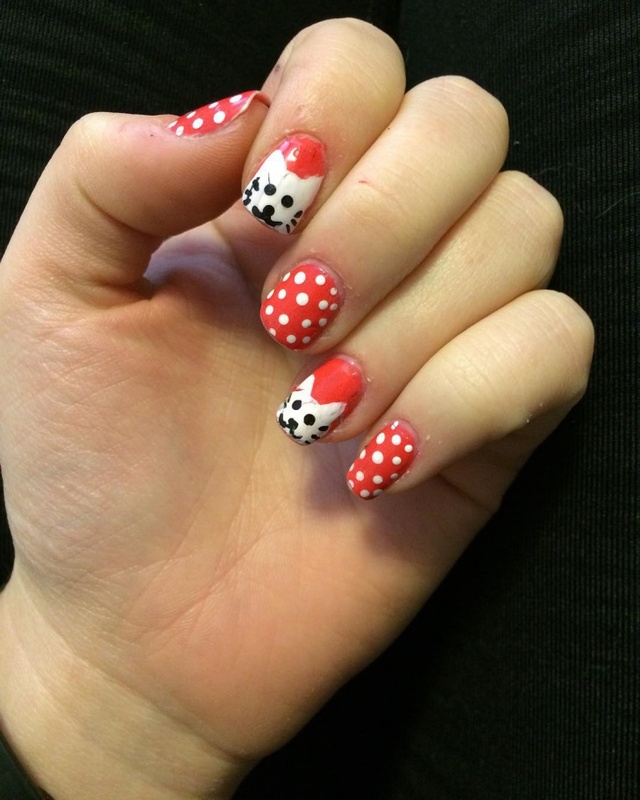 Polka dots are in trend always. They are usually themed with a dark background and this design is definitely talking to us in our language. 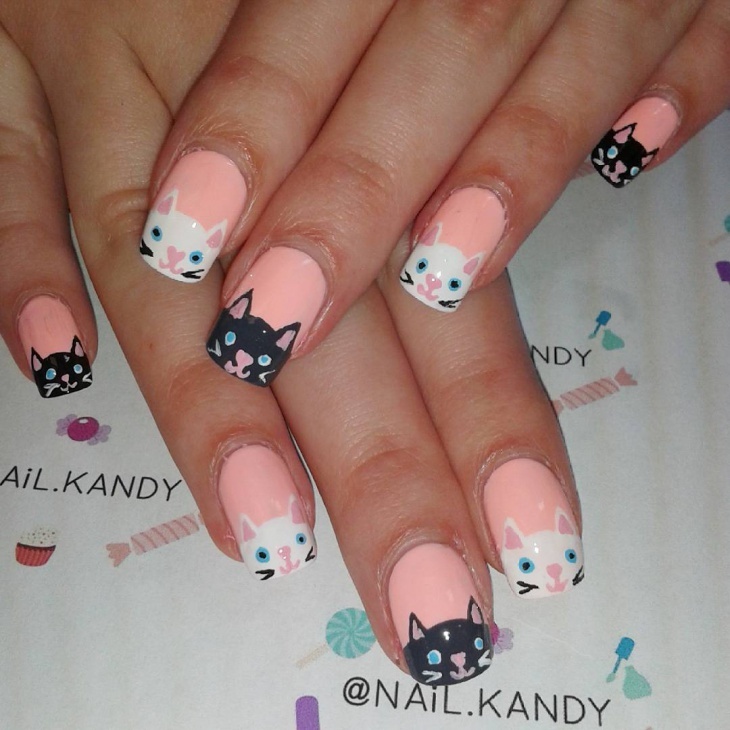 Pink with polka dots and cats on two nails is what adorable looks like. 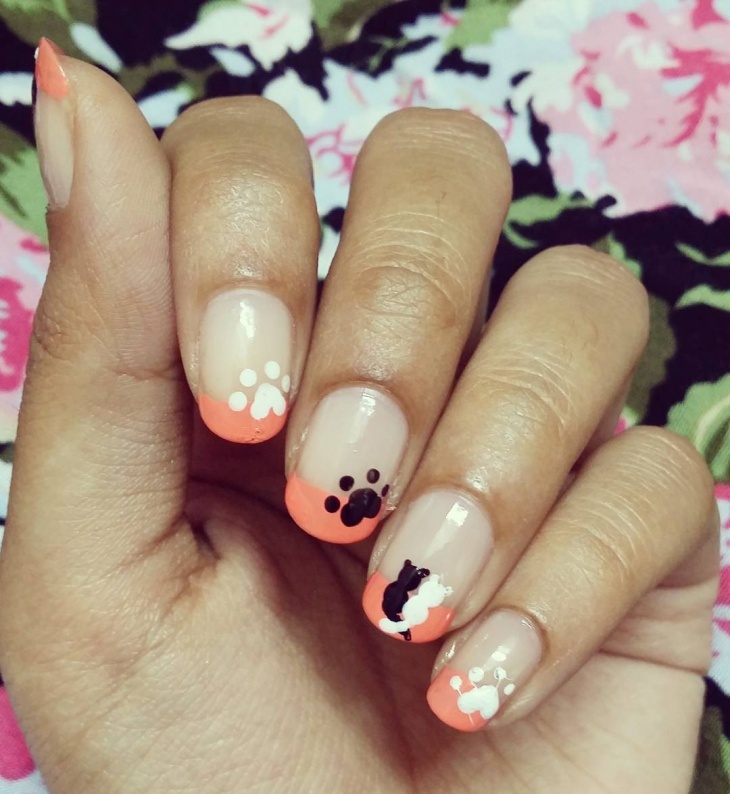 This cute design is something you should try. Yellow, yellow is this your favorite color? Don’t think too much if it is your favorite color because we think it looks absolutely electrical and will make you stand out. 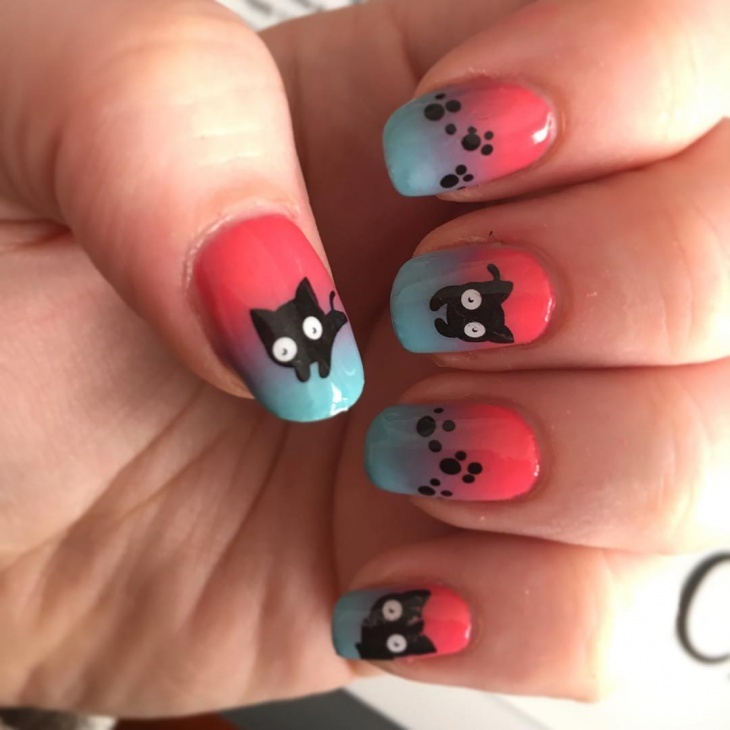 The cat paw print and the cat design itself is making it more charming to look at. Hello, Subtlety! 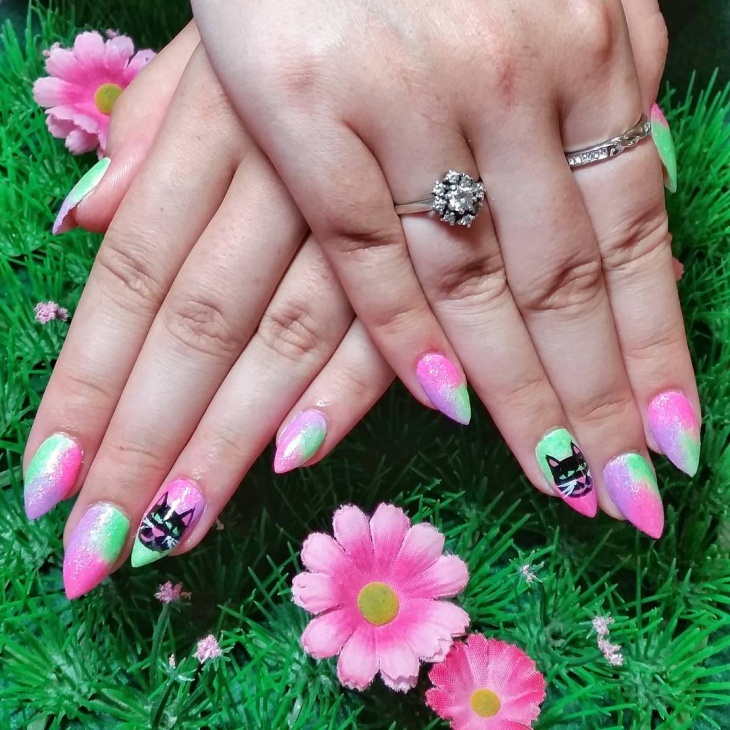 We love both bright and subtle colors but if you are a person who prefers sticking to subtle colors so you can team anything with it yet you want it to look little funky and different then this has hit the list for you. 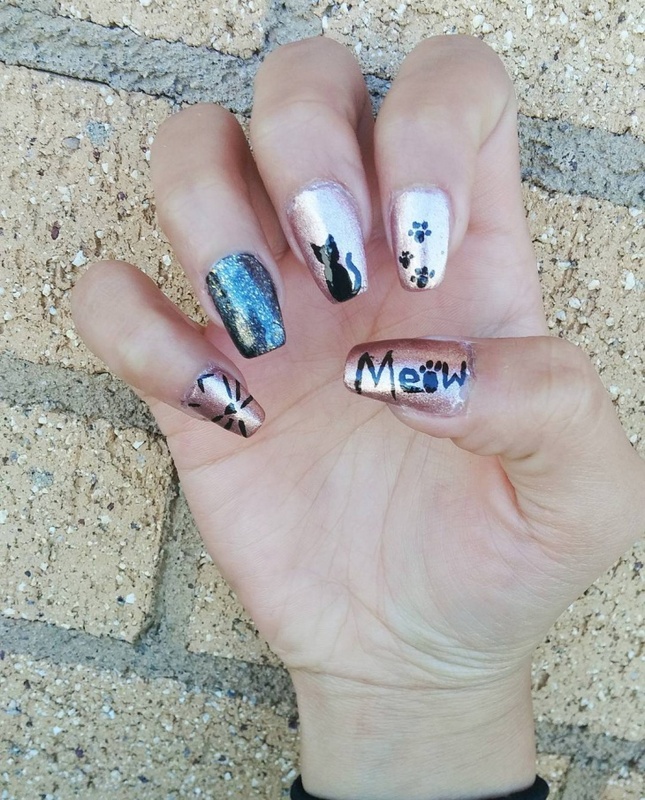 The cat design on the tip is making it look both neat and elegant. Have you ever experimented with striped? Then, this is the chance. 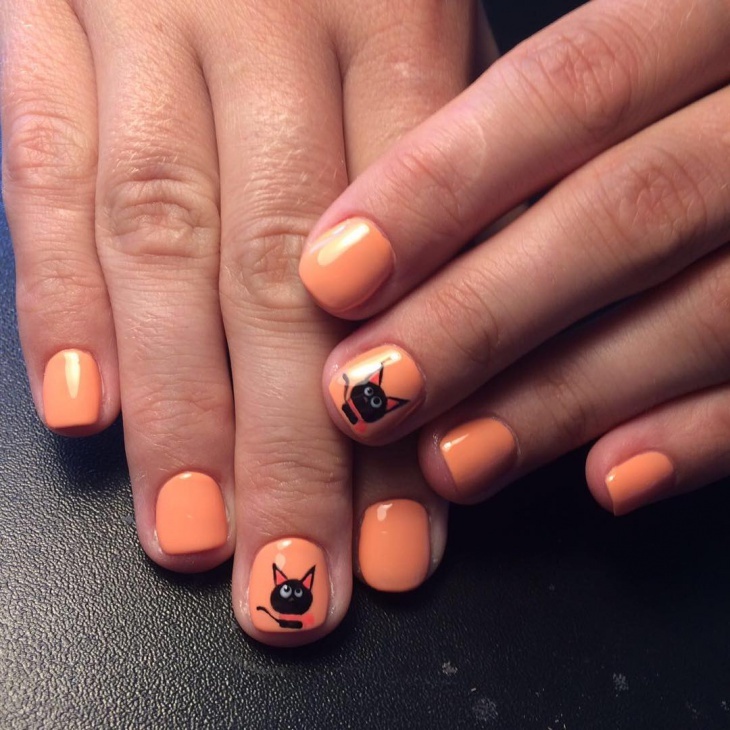 This design shows a variation with a cat and the stripes. You get to make a combination of both and the confusion can clear its path. 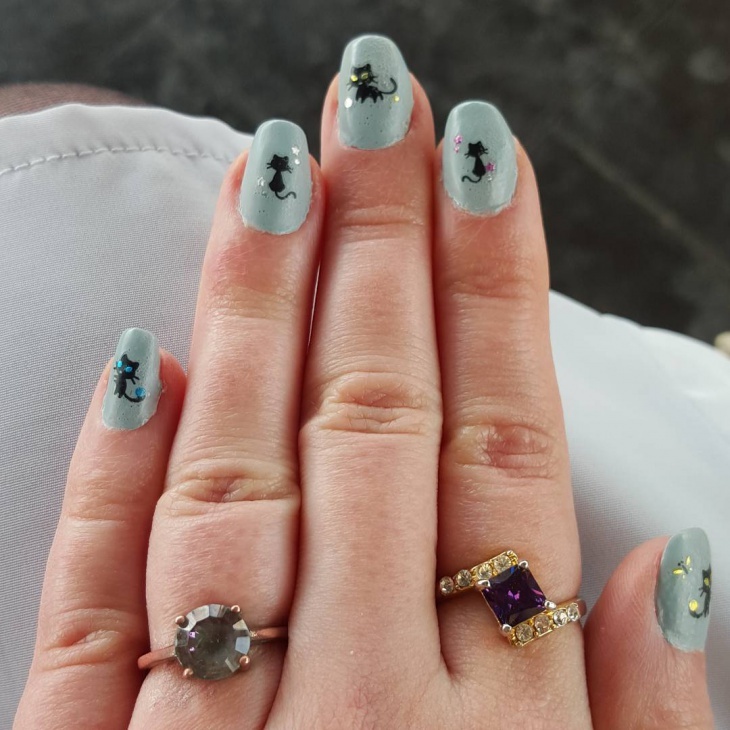 Grey looks good on anything and everything, even if they are on your nails. When a cute kitty cat is drawn over it, it forms a path to the perfect design. 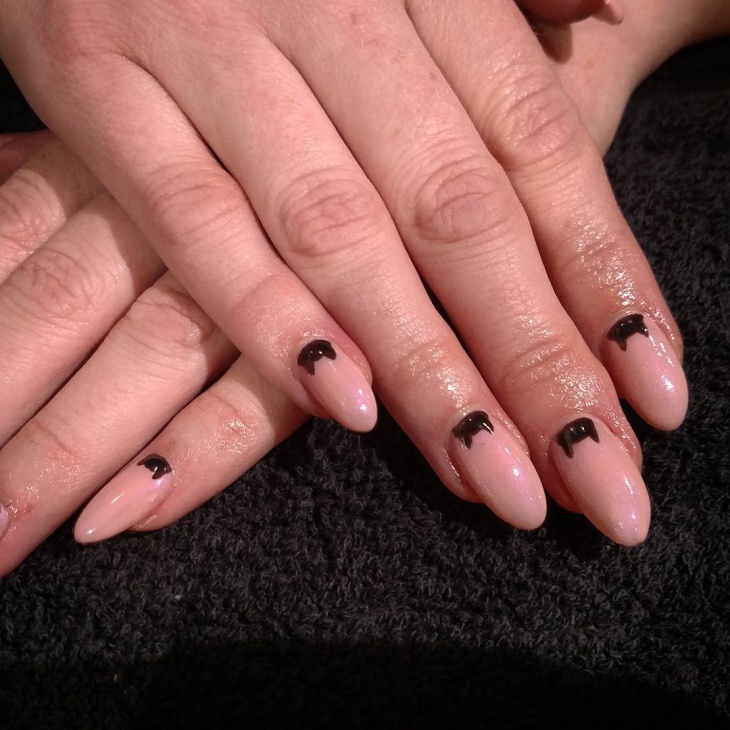 This design is elegant and is perfect for people who prefer to keep their nails not too long but like doing different variations on it. 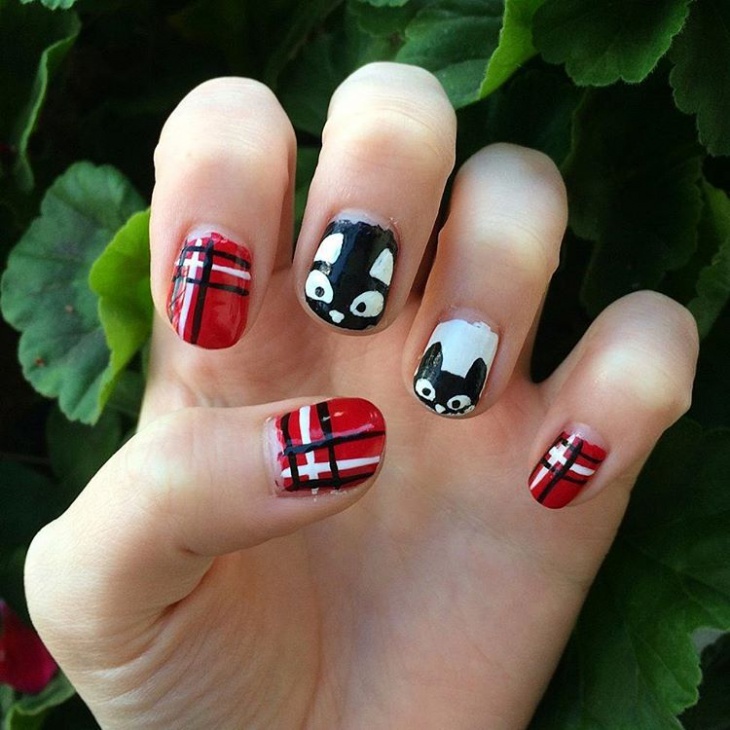 This is the cutest design we have come across and we had just ‘aww’ on our minds the whole time we were looking at it. 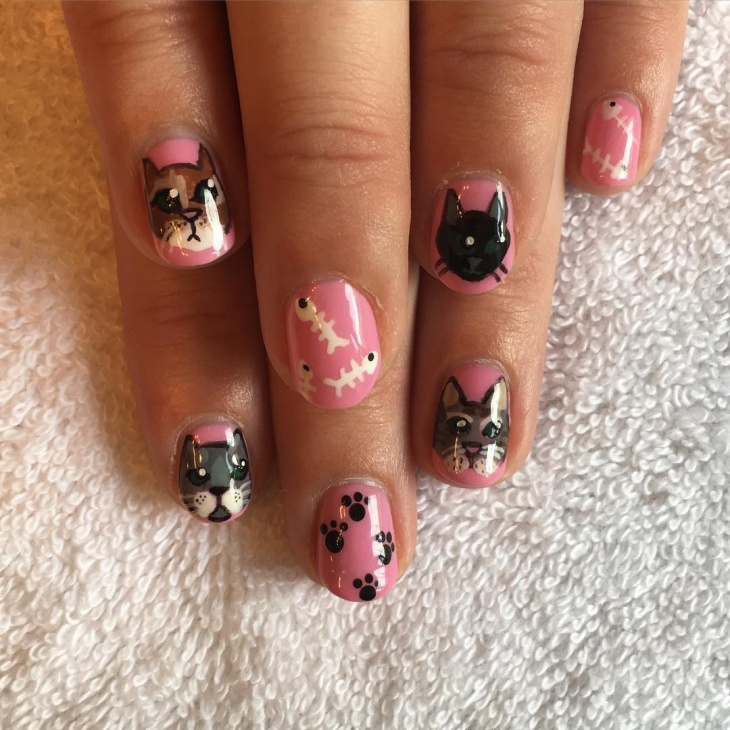 The pink nails with the cute paw prints, bone and an actual cat all over it is the perfect gateway to cuteness. We never thought orange could look so good. We have always considered it a bright and loud color but after look at this we have changed our mind and we will go ahead and call this subtle. 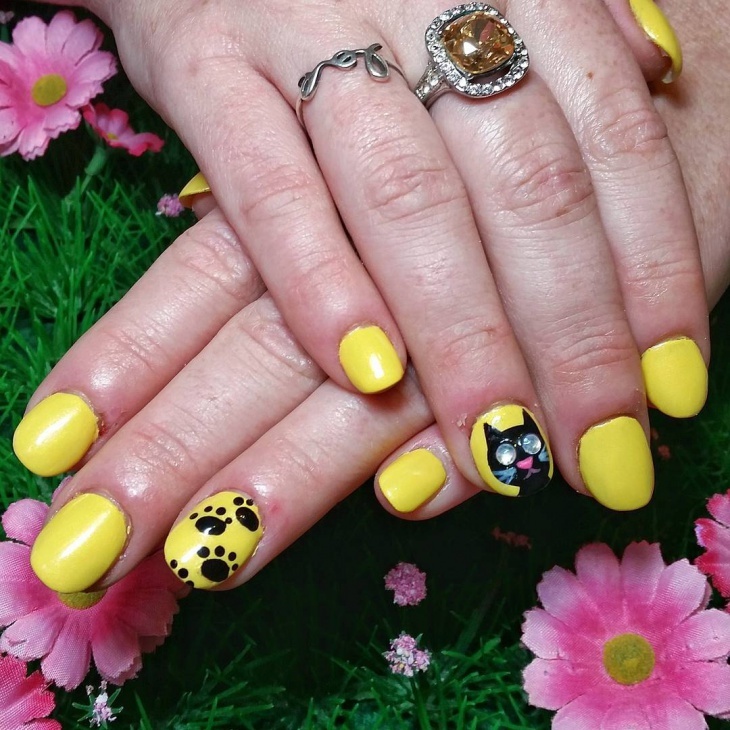 The cat in each hand makes it stand out for just plain nail paint. As dark as it looks, it is super gorgeous when you try on this color. 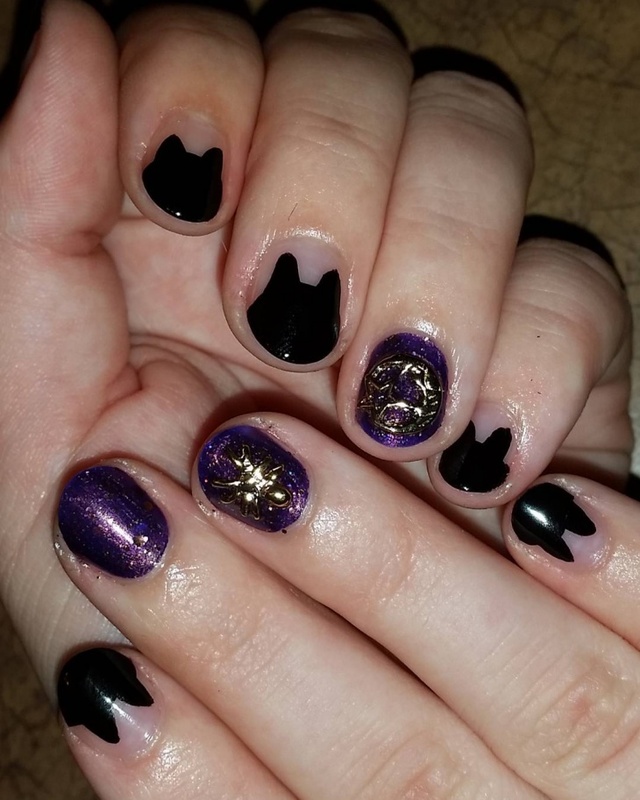 The glitter makes it look different and coming to the cat, it looks great because of its placement on the tip of the nails. 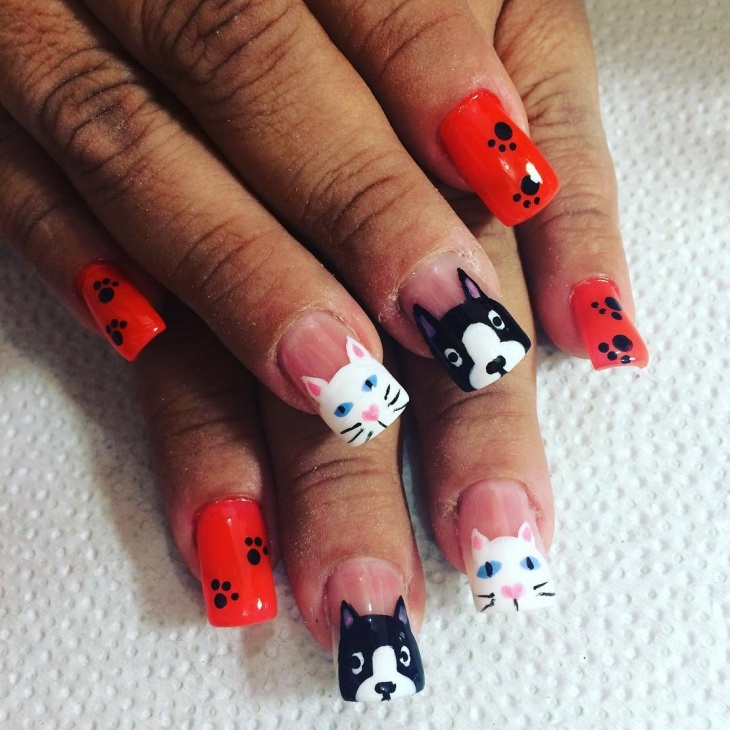 These are top favorite cat designs and even though these are called cat designs, the cat is not put out there loudly but it is put in an eloquent manner. So, go ahead give these a try.